I was thrilled to receive this information from The Jewish Museum about Isaac Mizrahi Family Day! I had to share so if you are in the city, you can add this to your "things to do" list. This is a most wonderful exhibit, and it looks like they will have some fun activities on this day. NEW YORK, NY – The Jewish Museum will present Isaac Mizrahi Family Day, a fun-filled day of activities, on Sunday, May 15 from 12 noon to 4pm. Families can celebrate the striking and colorful world of fashion on view in the exhibition, Isaac Mizrahi: An Unruly History, at a huge drop-in art workshop, hear the hip Grammy award-winning music of Lucky Diaz and the Family Jam Band, and take gallery tours of the exhibition. This event, for children age 3 and up, is free with Museum admission. Adults are asked to accompany their children. 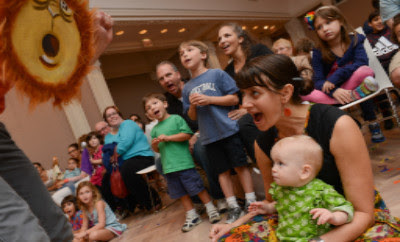 For further information regarding family programs at The Jewish Museum, the public may call 212.423.3337 or visit TheJewishMuseum.org/programs/families. The Jewish Museum is located at Fifth Avenue and 92nd Street, Manhattan. Design imaginative sculptural hats with metallic board, textured papers, colored tape, and wire. 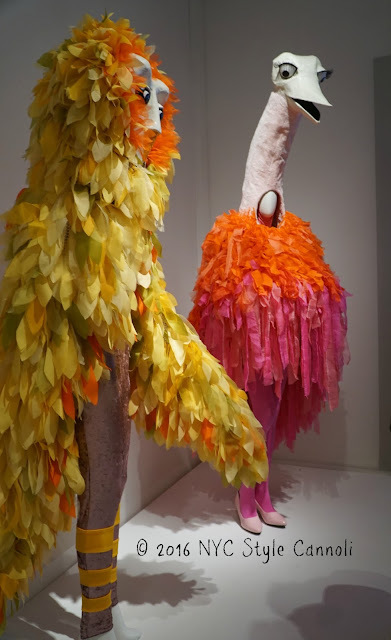 Use found objects and other unexpected materials to create wearable works of arts inspired by the playful materials and textures Isaac Mizrahi incorporates into his designs. Capture wearable creations on camera and strike a fabulous pose as a family at a professional photo booth. Lucky Diaz and the Family Jam Band will link their inventive and colorful style to the vibrant work of Isaac Mizrahi. Families can dance to songs about color, and pattern with indie music sounds rooted in the band’s whimsical child-friendly imagination. Garnering a Latin Grammy Award for their album ¡Fantastico! and an Emmy Award for their work on the PBS show Friday Zone, the husband and wife duo Lucky Diaz and Alisha Gaddis have been named “THE face of kindie music” by The Washington Post.Their sun-filled pop beats have been featured by NPR’s All Things Considered, NPR Music, Billboard Magazine, The New York Times, and Univision. 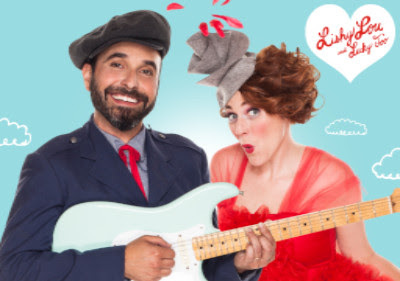 Logging hundreds of thousands of miles and sharing the music of their seven albums, Lucky Diaz and the Family Jam Band bring smart, crafty lyrics with irresistibly fresh pop beats. Kids can use printmaking techniques to create patterned fabric made with funky shaped stamps, colors, and textures. 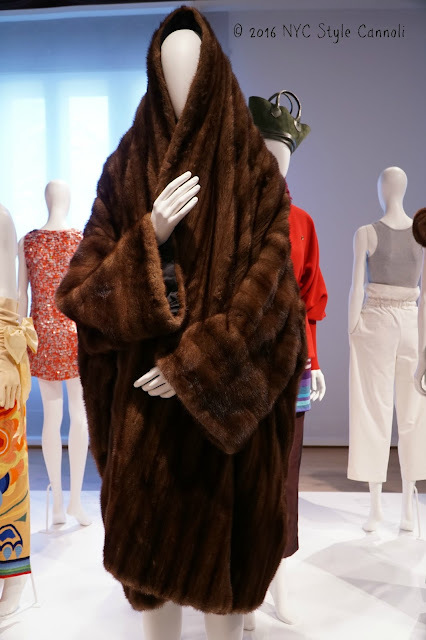 Jewish Museum educators will lead brief tour and sketching experience spotlighting looks in Isaac Mizrahi: An Unruly History. Specialized printed family gallery guides for Isaac Mizrahi: An Unruly History will be available for free. The Jewish Museum is presenting the first exhibition focused on Isaac Mizrahi, the influential American fashion designer, artist, and entrepreneur, until August 7, 2016. Through over 250 works, including clothing and costume designs, sketches, photographs, and an immersive video installation, this survey exhibition explores Mizrahi’s unique position at the intersection of high style and popular culture. While best known for his work in fashion, Mizrahi’s creativity has expanded over a three decade career to embrace acting, directing, set and costume design, writing, and cabaret performance. Beginning with his first collection in 1987 and running through the present day, Isaac Mizrahi: An Unruly History weaves together the many threads of Mizrahi's prolific output, juxtaposing work in fashion, film, television, and the performing arts. Isaac Mizrahi Family Day is made possible through the generosity of New York City Councilmember Daniel R. Garodnick. Additional support is provided through public funds from the New York City Department of Cultural Affairs. The Edgar M. Bronfman Center for Education’s school and family programs are supported by endowed funds established by the Bronfman Family, the Muriel and William Rand Fund, the William Randolph Hearst Foundation, the Helena Rubinstein Foundation, Rosalie Klein Adolf, the Kekst Family, and Mrs. Ida C. Schwartz in memory of Mr. Bernard S. Schwartz. Located on Museum Mile at Fifth Avenue and 92nd Street, the Jewish Museum is one of the world's preeminent institutions devoted to exploring art and Jewish culture from ancient to contemporary, offering intellectually engaging, educational, and provocative exhibitions and programs for people of all ages and backgrounds. 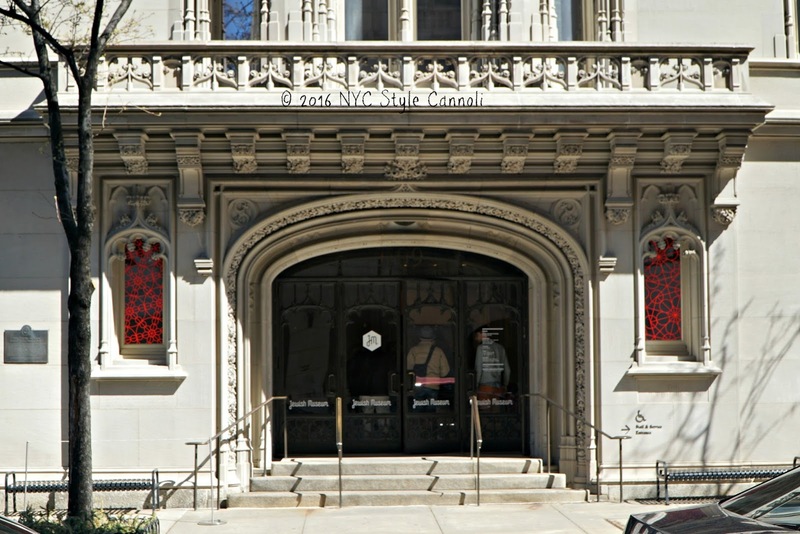 The Museum was established in 1904, when Judge Mayer Sulzberger donated 26 ceremonial objects to The Jewish Theological Seminary as the core of a museum collection. Today, the Museum maintains a collection of over 30,000 works of art, artifacts, and broadcast media reflecting global Jewish identity, and presents a diverse schedule of internationally acclaimed temporary exhibitions. The Jewish Museum is located at 1109 Fifth Avenue at 92nd Street, New York City.